Product prices and availability are accurate as of 2019-04-19 12:12:56 UTC and are subject to change. Any price and availability information displayed on http://www.amazon.com/ at the time of purchase will apply to the purchase of this product. THIS IS AN ORDER FOR A SAMPLE OF THIS PRODUCT. If you purchase with Bestlaminate, we will credit you the cost of this sample towards your flooring. Free shipping applies to ONLY THIS SAMPLE, other orders from Bestlaminate are subject to shipping charges. Farmhouse Plank Natural is reminiscent of a time when floors were made by hand, rustic hardwood looks are in vogue once again. Whether part of a rugged country aesthetic or contrasted with sleek, contemporary furnishings, their appeal is undeniable. 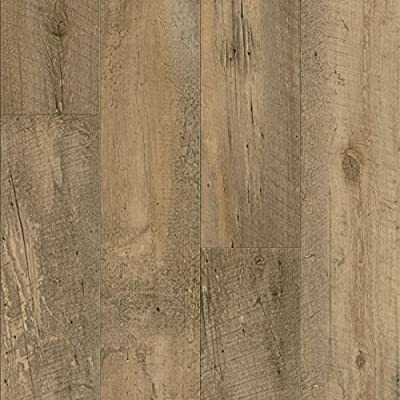 Armstrong has translated the charm of vintage, hand-hewn and reclaimed wood floors into versatile Luxe Plank flooring complete with the characteristic texture of worn grain, saw marks and knots.